M.Sc. in Computer Science Technologies (University of Cagliari - Italy), Ph.D in Computer Science (University of Compiègne - France). With 16 years of experience, member of CRS4's ISOC (Informatoin SOCiety) group, since 2000. He spent the first couple of years working in the field of distributed applications. After that, he spent 4 years working for a research project (EU V FW IP) looking to understand the inclusion of visually impaired pupils in mainstream education. As side projects, he was involved in research on peer-to-peer systems and semantic distributed knowledge bases. In 2002, he started a collaboration with the UTC's Heudiasyc laboratory. Since then, he has been conducting independent and collaborative research in information retrieval, ontology engineering and Web of Data. He has been continuing along the same path, while extending his work to the study of Sensor Networks and IoT. 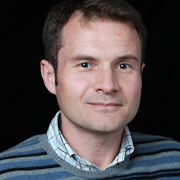 In 2015 he spent one month as Visiting Researcher within the Department of Advanced Robotics at the CIT (Chiba Institute of Technology) in Japan, and in 2016, within the Lincoln Centre for Autonomous Systems (L-CAS), University of Lincoln (United Kingdom), coducting research in the field of Semantic Sensor Networks and Robotics. In 2016 he applied for the Horizon 2020 Marie Curie Individual Fellowship call, in conjuction with the University of Lincoln. The proposal has been awarded the Marie Sklodowska-Curie Actions Seal of Excellence.